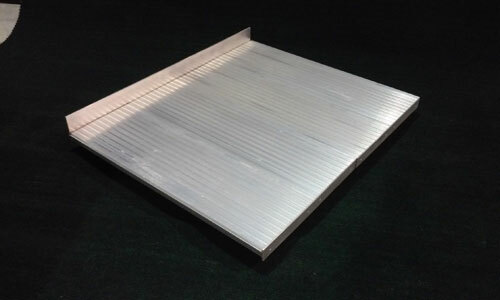 We offer sectional ramps in 8′, 10′ and 12′ lengths. The two sections have interlocking stainless steel connection plates. 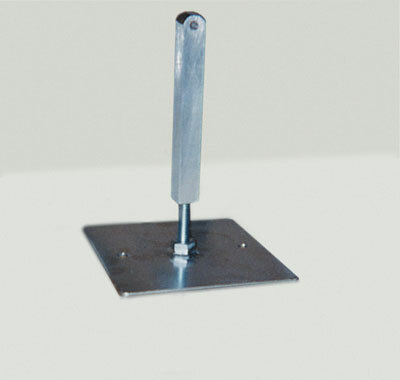 The connection is supported by two 1 inch solid square aluminum supports with adjustable 5/8 inch stainless steel threaded rod and a 6 inch square base plate. We will need to know the elevation where the ramp will be used. A photo is also helpful in assuring proper fit. 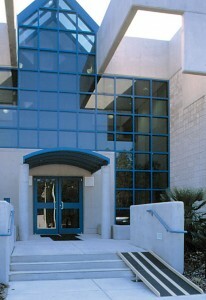 Entrance platforms are made with aluminum decking that meets all ADA requirements. 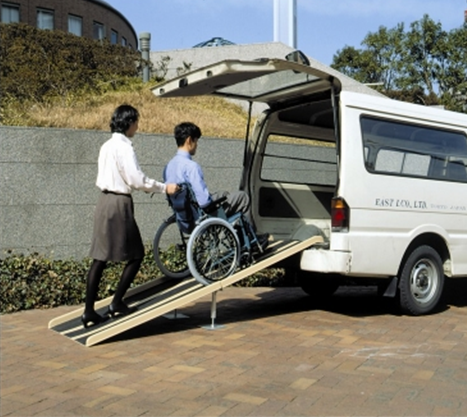 Platforms are made to order and designed to meet your specific size and load requirements. Platforms have 4” high guard rails on two sides and adjustable support legs with base plates.